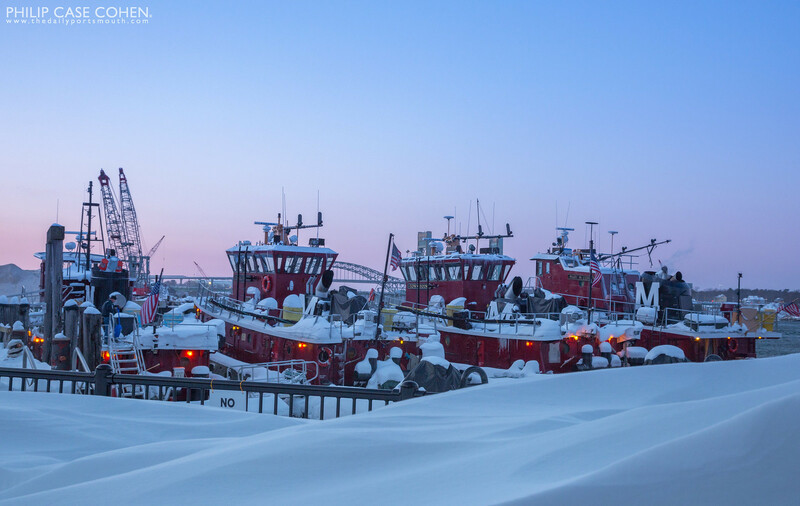 The snow drifts from the incredible winter of 2015 have almost completely overtaken the railings at The Decks. 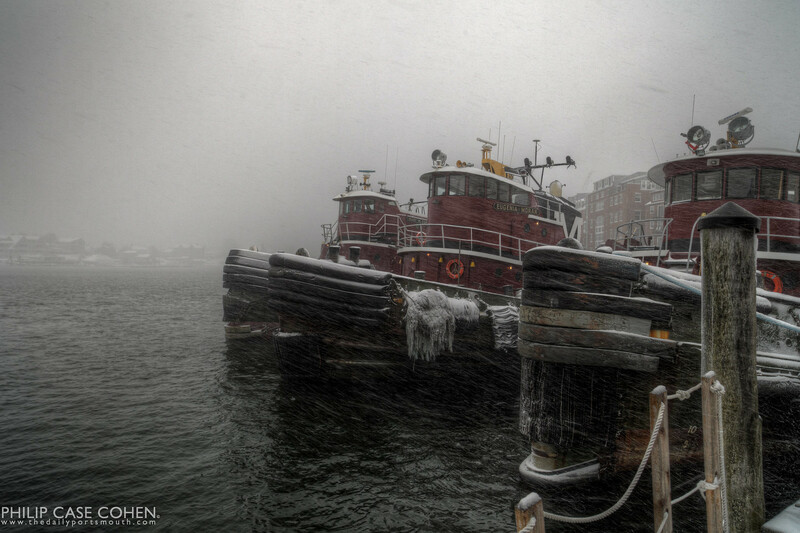 The snow drifts make for some interesting flow lines and somewhat soften the industrial waterfront of Portsmouth. 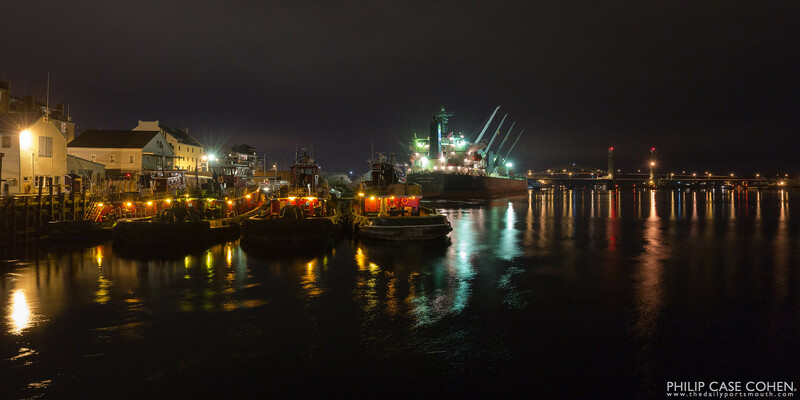 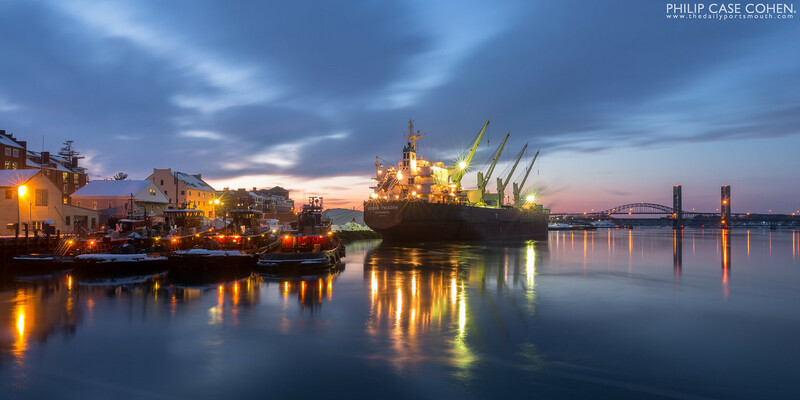 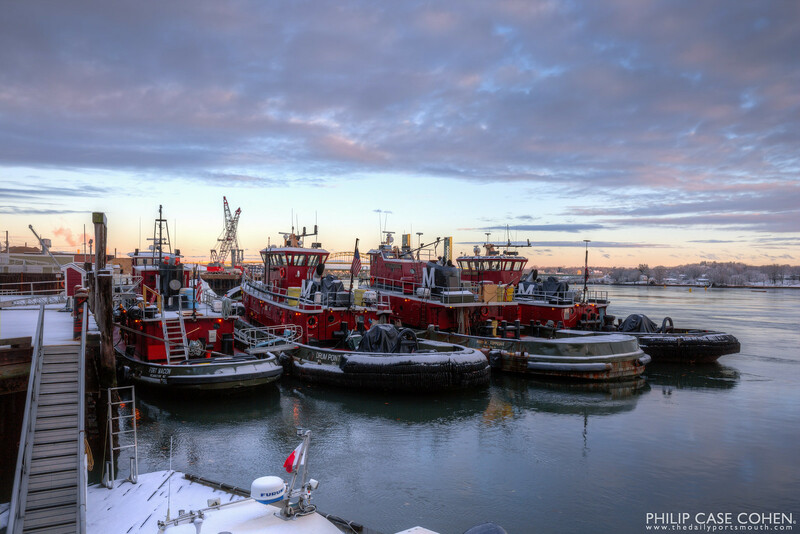 With increased freighter traffic throughout the winter, it’s usually a quiet and calm scene down by the waterfront as the massive ships unload their salt – effectively reloading the Market Street terminal for distribution throughout New England. 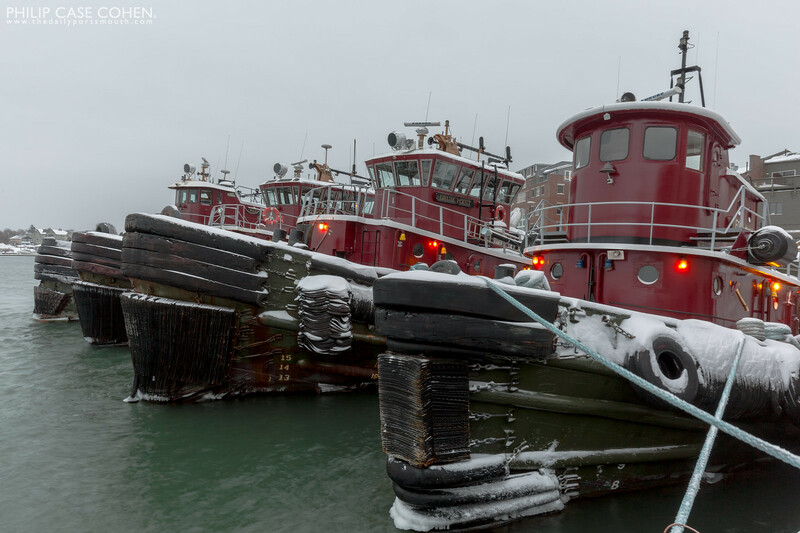 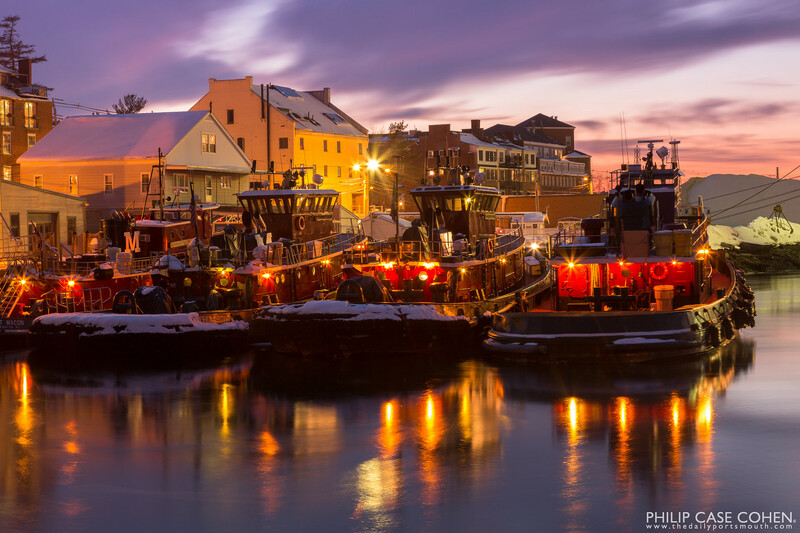 The Moran Towing tugboats beneath the morning’s first light and a fresh coating of the season’s first snow.